Currently there is supply shortage in this sector. To improve situation there are needs for thrust on technology, innovation, advanced mining method, rapid clearance of mining projects, and overseas acquisition of mines. The current supply-demand gap of coal in the country is 84 MT, and is expected to rise to at least 300 MTPA in medium term. Some of this supply shortfall will likely to be met by captive units and rest through imports. these, constraints of local transportation, lack of surrounding infrastructure, and concerns over high ash content of run-off-mine (ROM) coal hinder production. Due to poor quality, companies are increasingly dependent on imported coal. The absence of legislative reforms required to encourage competition has made this sector vulnerable to inferior quality technology and production methods, lack of transparency in allocation of coal blocks, price increase etc. concerns of transparent concession system, scientific mining, illegal mining and sustainable development. 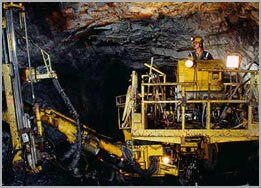 These reforms will shape the coal mining sector in future. To increase coal supply, the imperatives are - thrust on technology and innovation, regulatory reforms for improved mining methods & techniques, timely clearance of mining projects, and overseas acquisition of mines for sustainable import.